We are loving the boho trend this summer-the perfect style for festivals, on the beach or worn casually over summer denims or swingy skirts and loose flowy trousers! 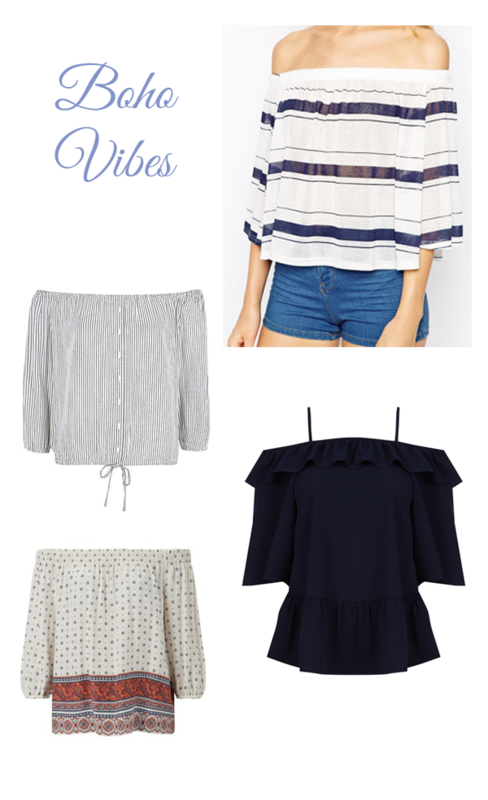 In particular off the shoulder tops are having a moment, they look so flattering on every woman and the relaxed styling suits all shapes making it the perfect piece for summer holiday wear. Hope you are all enjoying the week-there is a tiny bit of warmth and sunshine breaking through!